Beginning reading is such a special time in a child's life. Each child has his/her time of readiness, so it is important for parents to help without overstressing children. In the previous article in this series we discussed how and where to select just right books for your beginning reader. Now we want to look at each of the leveled books in more detail to learn reading tips for parents to help these young readers. We will begin with the lowest level. As stated in the last article, leveled reading books have different names but all essentially mean the same thing as they have the same features. The books are leveled by numbers (1-3), by alphabet letter (A-C or higher), or by word (beginner, intermediate, advanced). Whichever label the publisher uses, it is important to know that the books get more difficult to read as they progress upward. Books at this level have one sentence per page. There is a pattern of repetitive text throughout the whole book, for example, I see one apple; I see two apples; I see three apples and so on. The picture directly corresponds with the words. In the example above, there would be one apple on the first page, two apples on the second, three apples on the third page, and so on. There would probably not be an apple tree and leaves as this would confuse a new reader. 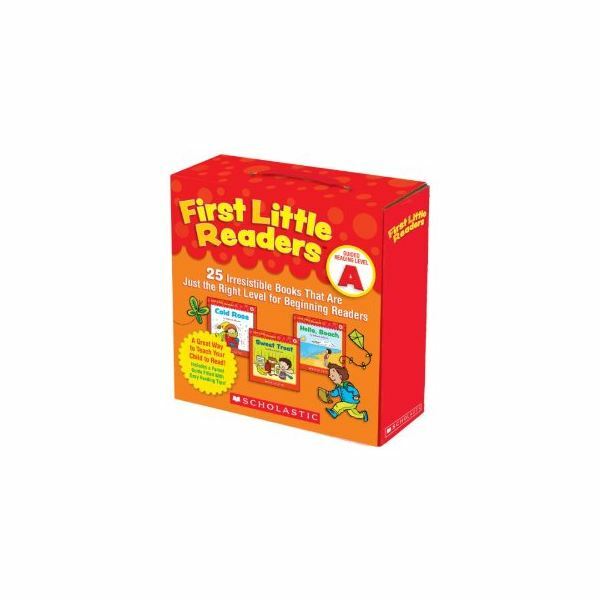 Below is some work you can do with your level one (beginning) reader to help him or her master independent reading at this stage. I do not recommend doing them all in one night, split them up and practice over one week or even longer if necessary. 1) Make sure your child points to each word as he/she reads it. Make it fun by using a special reader stick, such as a popsicle stick your child decorates. 2) Find the title of the book and the cover page. Notice how they are the same. Find the name of the author and illustrator. Have the child write the name of the title, author and illustrator on a sheet of paper. 3) Count the number of sentences in the book. Find the first word of each sentence and write it. Find the punctuation mark. If possible, circle it. 4) Find the sight words your child knows. In the example above, the child may know the words, I and see, or even the number words in the sentence. Have the student write them five times each or illustrate their own sentence with the words they know. 5) If there are rhyming words in the book, find them and list them. 6) Choose a few words throughout the book and count and clap the syllables in the word. 7) Count the number of words in each sentence. Notice that there is white space after each word. If possible, circle each word. 8) Find the beginning letter of some words. Can your child tell you some other words that also begin with that letter sound? List them. 9) Have your child tell you what the story is about. 10) Notice with your child how the picture is the same as the words. Do you have more ideas on work you do in beginning readers? Please share them! To make it easy, I have copied these tasks in a PDF to download and use. Enjoy! This article is written from Laurie Patsalides' teaching experience.